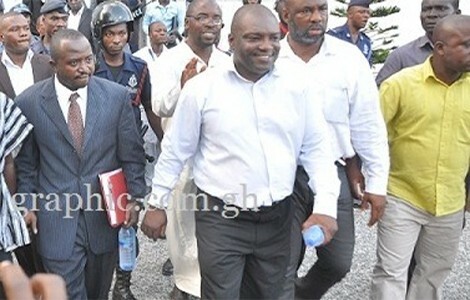 On Wednesday, 14 August 2013, the Ghana’s Supreme Court hammered NPP General- Secretary Owusu Afriyie and Hopeson Adorye- an NPP Communications Team member, with GH¢5,000 and GH¢2,000, for criminal contempt and to retract what the Court described as offensive comments and apologise for same, respectively. Lawyer Owusu-Afriyie; who was ordered to sign a bond to be of good behaviour, was also directed to deposit the money with the court by the close of work, Thursday, 15 August 2013 or in default, serve six months’ prison sentence. 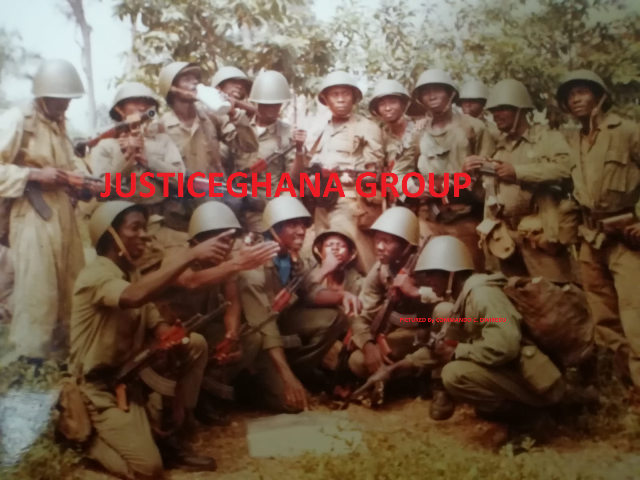 Whereas Sir John conceded to have described Justice William Anaam Atguba “as a hypocrite, joker and a voodoo deity”, Hopeson, pledged that the opposition NPP “will go on a head cutting spree, cutting off the heads of NDC supporters should the Supreme Court declares John Mahama, as the president-elect”. The background to this summons was on 02 July 2013; where the 9-member Court, presided over by Justice Atuguba, sentenced Ken Korakye and Stephen Atubiga, to a 10-day and 3-day prison term respectively. On 27 June 2013, the Court commanded Atubiga, Kwaku Boahen and Korankye, to appear before the Court to defend some comments attributed to them. Whereas NDC Atubiga was reported to have said that “Ghana cannot contain all of us if NPP wins the Court case”, Boahen said: “Do you think NDC will sit aloof and watch the court hand over power to NPP, never! It will never happen in Ghana and anyone can mark it on the wall.” The Daily Searchlight editor Korankye was accused of a front-page opinion justifying the Sammy Awuku’s contemptuous allegations. In addition to this is Article 19 (12) which states: “Clause (11) of this article shall not prevent a Superior Court from punishing a person for contempt of itself notwithstanding that act or omission constituting the contempt is not defined in a written law and the penalty is not so prescribed.” Art 19(11) states that “No person shall be convicted of a criminal offence unless the offence is defined and the penalty for it is prescribed in a written law.” But the Court saw itself under contemptuous attacks. So, Awuku was summoned in the air the same afternoon before the Supreme Court to explain why “he thought contemptuous charges could not be hanged around his neck.” The remorseful NPP Youth activist apologized and the Lords hemmed him from further Supreme Court visit. Yet it is argued that by virtue of separation of powers and the rule of law; the Supreme Court, could not have been the judge and investigator or the prosecutor in alleged contemptuous comments made outside Court. Thus; the judgesfrowned the Nemo iudex in causa sua (or nemo iudex in sua causa) rule- a Latin phrase which means literally that no-one should be a judge in his/her own cause. Legal-glossary.org notes that Nemo rule is a principle of natural justice that no person can judge a case in which they have an interest . In R v Sussex Justices, ex parte McCarthy,  1 KB 256,  All ER 233, it was held that: “The [Nemo] rule is very strictly applied to any appearance of a possible bias, even if there is actually none: "Justice must not only be done, but must be seen to be done". Thus unlike in the ex facie curiae case of Republic v Mensah-Bonsu and Others; Ex Parte Attorney-General [1995-96] 1 GLR 377 (SC), where it was the Attorney General, who brought contempt proceedings against the defendant (contemnor), who in a newspaper report accused Justice Isaac Kobina Donkor Abban; of being a liar in a “corrupted judgement transcript”, said to have been altered by the learned judge, the 9-member panel justices in the 2012 petition are accused of being judges in their own cause. The Court went further: “Ken Korankye clearly says that Sammy Awuku was right in describing us [judges] as hypocritical and selective, the things Sammy Awuku himself fully retracted and apologised to this court. If this is not defiance of the authority of this court and the due administration of justice, we do not know what else it can be. We have no doubt that the said statements are made with intent by him to defy the authority of this Court and the due administration of justice. Accordingly we find him guilty of criminal contempt of this court and sentence him to 10 days imprisonment.” Unlike in “Sir John & Adorye”, where Counsel Ayikoi Otto- succumbed to the wishes of the Court, in Korankye, Counsel Atta-Akyea, opted for the contrary. But the Court appeared legally hesitant to such intended defence strategy and arguments. “the court reluctantly avoided imposing a custodial sentence on the two due to incessant pleas by the Peace Council and by the lawyer of the contemnors.” Ayikoi Otoo pleaded with the court “to temper justice with mercy and to give him what he described as “a 59th birthday gift.” Justice Atuguba, who appeared emotionally hurt by referring to the then NPP Gen-Secretary as ‘that thing’, jokingly, asked his convicts to take a measurement of their temperatures before shredding them. Justice Atuguba said he had never new Owusu-Afriyie, as an NPP politician and lawyer. Ever since, contempt in facie and contempt ex facie, as applied by the SC, continue to occupy many minds too. In R v Cohn, Justice Goodman of the Ontario Court of Appeal said: “A contempt in the face of the court may be broadly described as any word spoken or act done in, or in the precincts of, the court which obstructs or interferes with the due administration of justice or is calculated so to do. [Example]: assaults committed in court; insults to the court; interruption of court proceedings; and refusal on the part of a witness to be sworn or, having been sworn, refusal to answer.” Justice Goodman states that contempt outside the court [are] words spoken or otherwise published, or acts done, outside court- eg. publications intended or likely to prejudice the fair trial or conduct of criminal or civil proceedings; or obstruct persons having duties to discharge in a court of justice." The issue is: was SC fair on its attitude as far the counsels to the mitigation pleas were concerned?